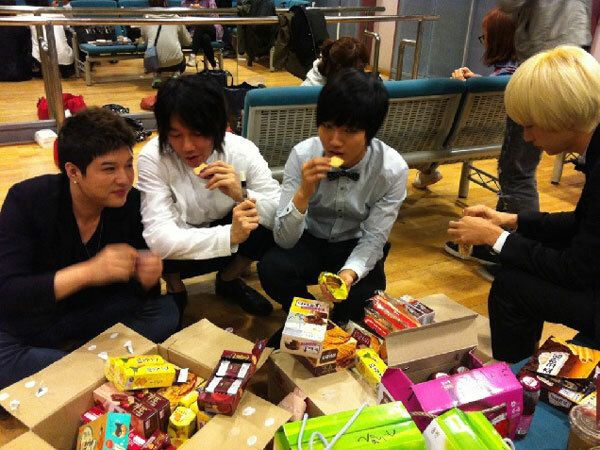 Veteran singer Kim Jang Hoon having some snacks with members of boy band Super Junior at the backstage of a music show in 2011. This entry was posted in News and tagged Kim Jang Hoon, Super Junior on September 23, 2016 by Hotkpop. English subbed music video for Be Alive, an encouraging song by veteran singer Kim Jang Hoon, starring some Kpop stars and various personalities. This entry was posted in Music and tagged Kim Jang Hoon on December 3, 2014 by Hotkpop.